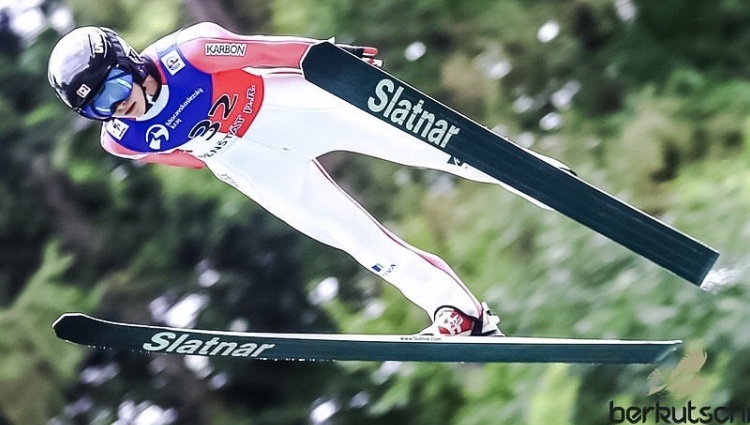 Luge World Cup in Whistler this Weekend! 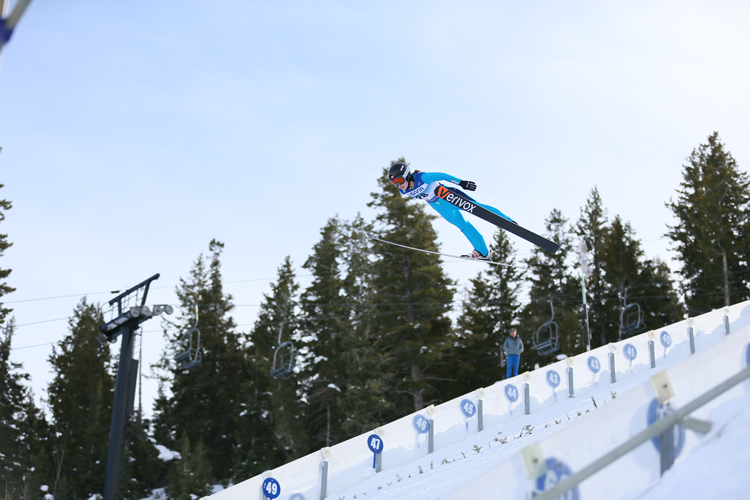 This weekend, the Luge World Cup will come to the Whistler Sliding Centre, with races on Friday (night) and Saturday (daytime). There’s also food trucks, beer & Glühwein/mulled wine stand, a DJ and fireworks (Friday Night) and much more! 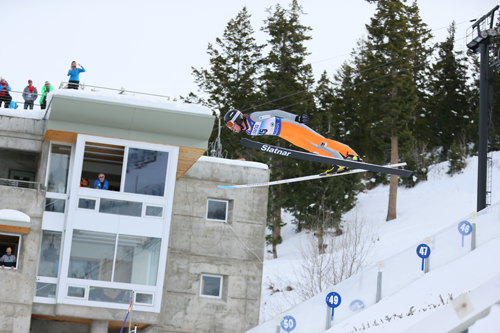 The German athletes are among the most successful lugers – at last week’s World Cup in Innsbruck, they achieved five podium finishes! The Whistler Sliding Centre and the event organizer are not-for-profit organizations, and all ticket money ($10/person/day) goes towards building future luge athletes! 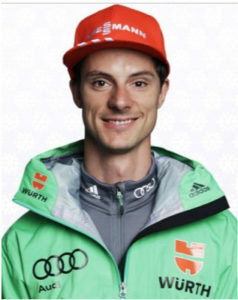 Besten Dank, und viele Grüße aus Whistler! Tatjana Huefner on the very left, she’s won the Olympic gold in Whistler in 2010! 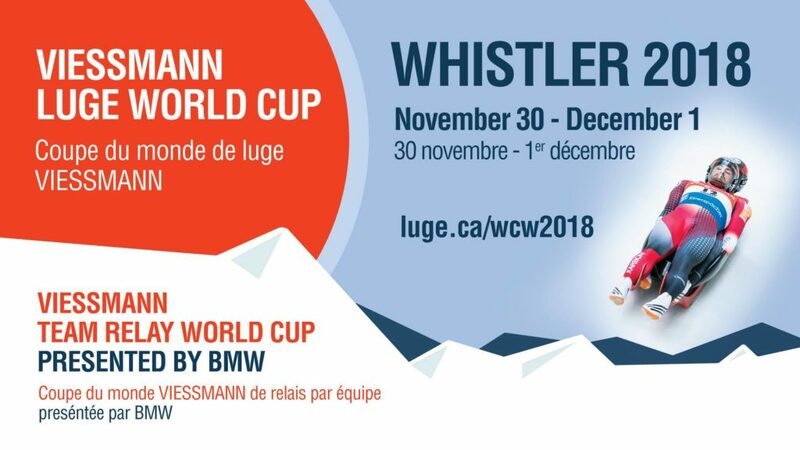 The fastest athletes on ice will slide into Whistler, November 30 – December 1, 2018 for the Viessmann Luge World Cup and Viessmann Team Relay World Cup presented by BMW. 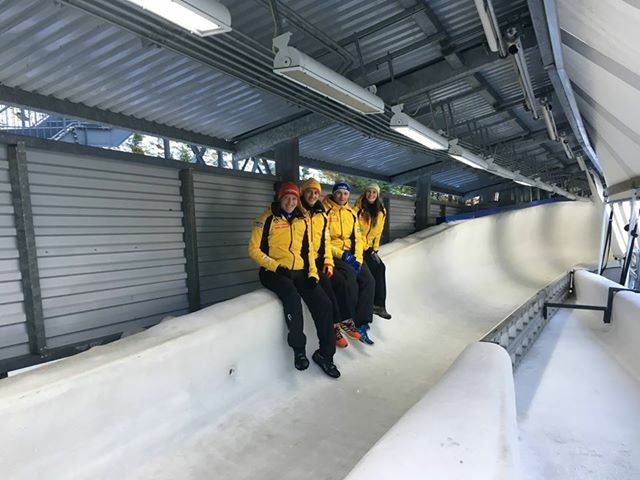 The Whistler Sliding Centre will play host to the second stop on the World Cup luge circuit as more than 100 athletes representing more than 20 countries will blast down the Olympic Track at speeds up to 130 km/h in men and women singles, doubles and team relay races. Come Cheer on Canada! And Germany! And Switzerland! And Austria! Tickets are available in advance on the Whistler Sliding Centre web site. Tickets will also be available at the gate. The Whistler.com Group Sales team are on stand-by to assist you in securing team accommodation and transfers at the very best rates. For a personalized and comprehensive proposal, call the team today on 1.604.966.3215 or send an email to groups@whistler.com. Click the link above to make your reservation or call the In House Reservations Department at 1-800-606-8244 to make your reservation – quote Luge Canada Friends & Family group code 1118LUGE in order to receive the group rates. Officials are also being recruited for all positions for training and race days (November 28 – December 1, 2018). Please contact Zan Aycock at zaycock@shaw.ca for more information. A live stream of the competition can be found at www.cbc.ca. Who will be Competing at Whistler? 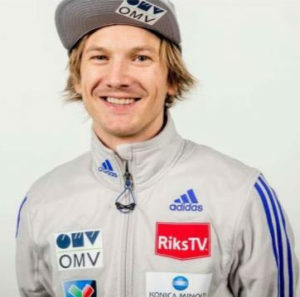 NOVEMBER 1, 2017 – CALGARY, AB Canada will once again become the focus of the international ski jumping community when three major competitions will be held early December at Whistler Olympic Park. 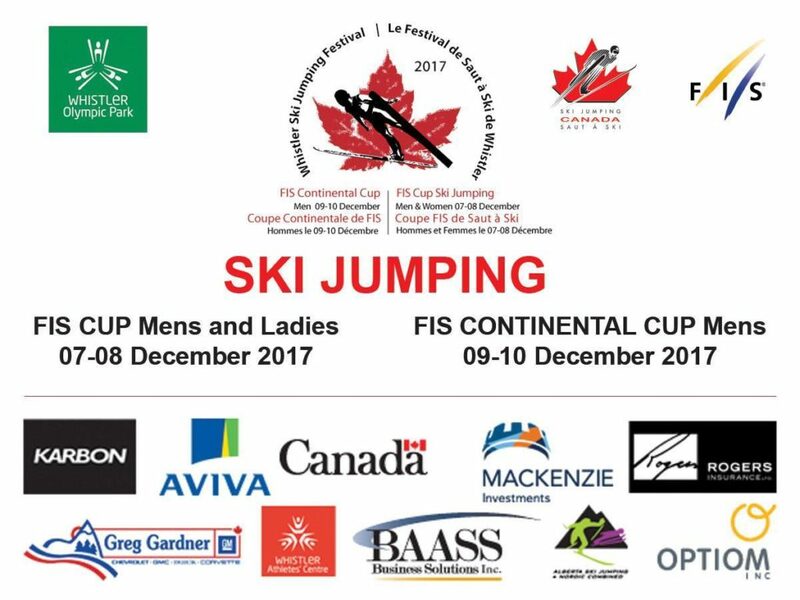 From December 7-10, 2017, Whistler will host a Men’s Continental Cup as well as a Men’s FIS Cup and a Women’s FIS Cup. Canadian participation in the events will be a factor in securing quota spots for the 2018 Olympic Winter Games in Pyeonchang, Korea. “As we head into the home stretch towards Korea, it’s vital that we give our athletes every opportunity to qualify for the Games,” says Reid. 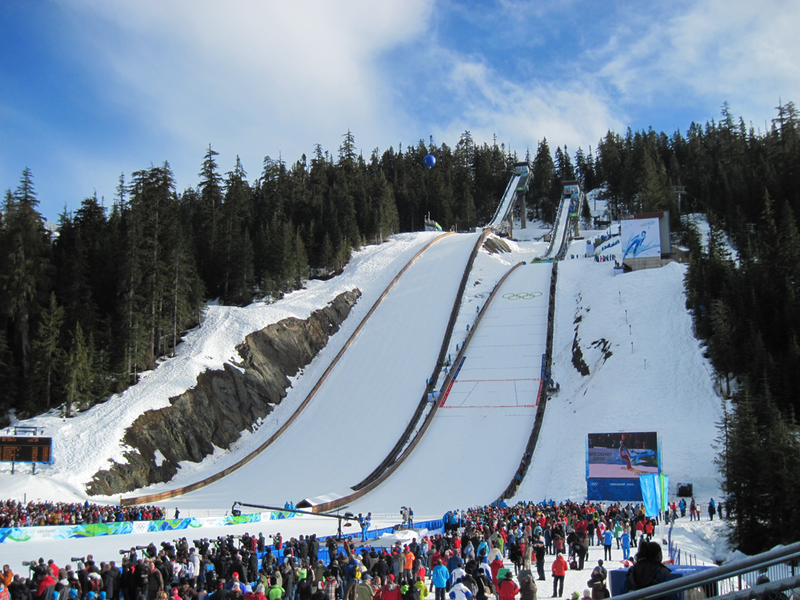 The Continental Cup and FIS Cup events will utilize the legacy facilities from the 2010 Vancouver games, including the ski jumps at Whistler Olympic Park and the athletes’ village. 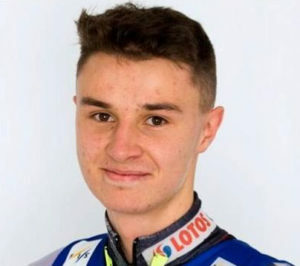 The competitions are being partially funded by a Sport Canada hosting grant.